Like many investors, you may have a pension or investment made up of more than one asset class; the commonest asset allocation is a blend of equities and bonds. Your asset allocation should depend on your unique investment objectives and risk tolerance. To maintain your original asset allocation, to remain on target and ensure your exposure to risk isn’t skewed, you will occasionally need to rebalance your portfolio. Left alone, dual or multi-asset portfolios drift away from their original target allocations. This happens as certain classes outperform others. If you don’t rebalance to counteract this drift, your portfolio will become concentrated in higher-returning assets. Over time, this exposes you to a very different risk and return profile from your original and intended one. Rebalancing is bringing your portfolio back to the original asset allocation. 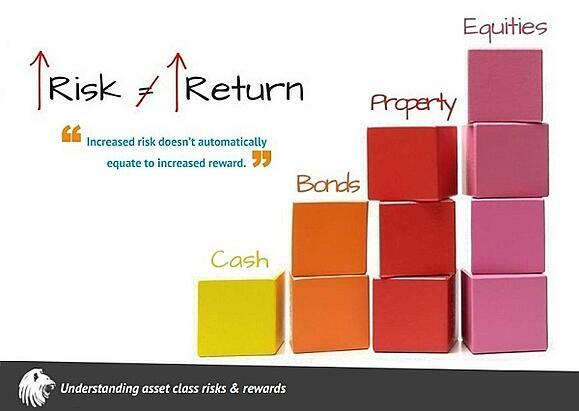 It’s more about risk than returns, although it can affect both. The basics of portfolio rebalancing are incredibly simple – generally, you take gains from growth assets and reinvest them into defensive assets. So, first you sell the out-performers. Then you buy in the under-performers. You buy and sell in the proportions that will bring your portfolio back to its original target allocation. As Monevator points out, it’s a bad idea to rebalance very frequently – it’s easy to overdo it. You risk losing out, increasing your costs, and potentially over-exposing yourself to taxation, depending on your personal tax status. 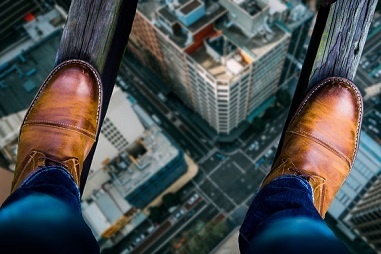 However, if you rebalance too infrequently, you're exposing yourself to far higher risks than you might otherwise be comfortable with. So – in a word – be balanced in your rebalancing! Are you an expat with a financial adviser? Then, let me guess…you’ve been told by your broker that you’ll get a quarterly review. Well, I am sorry to burst this bubble. The offer of quarterly reviews are drilled into brokers and salespeople, but they tend not to be a chance for your adviser to rebalance your portfolio for your benefit. It’s a chance for them to sell you something for their benefit. This could mean switching or ‘churning’ your funds to generate additional commissions, asking for tops ups, or at the very least gaining a few referrals. You do not need to review your portfolio every three months. As a proponent of passive investing for many of my clients, I suggest keeping things as simple and as low cost as possible when it comes to rebalancing. The evidence suggests rebalancing once a year is optimum. What’s the best rebalancing technique? 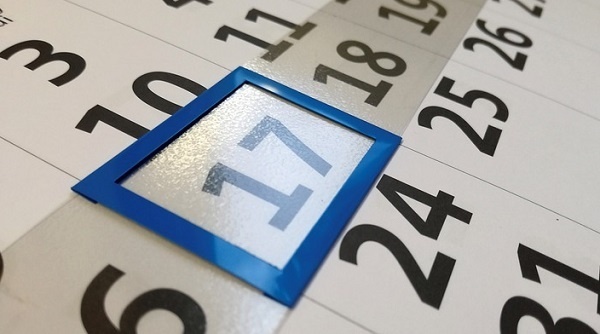 I suggest you either choose calendar rebalancing, that is, you set a date in your calendar a year from now, and revisit and rebalance your portfolio when that date comes around. We do this for our own clients on their annual anniversary. The rest of the time, you just leave your portfolio well alone and enjoy your life. Alternatively, if you really want to maintain tight control on your exposure to risk, you could consider threshold rebalancing. 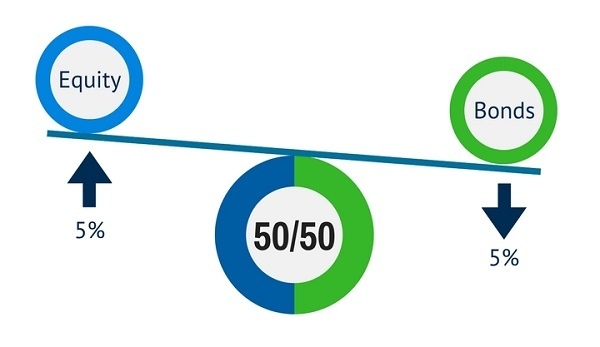 You rebalance only when your assets in a given class move away from your target by a set threshold amount – for example, 5%. You would rebalance when there was a shift from either asset that moved your allocation to 55/45. At that point you would sell enough of the dominant asset to rebalance the portfolio back to its original 50/50 asset allocation split. A potential benefit of threshold rebalancing is that you can ignore tiny percentage shifts that make no real difference, just because the calendar tells you it’s time to rebalance. If you accept a fairly liberal threshold and it’s a fairly steady time for the market, you might not have to rebalance for years. Is there real value in rebalancing? The gurus at Vanguard managed to measure the value of a financial adviser rebalancing an investor’s portfolio annually. “…Regular rebalancing, perhaps timed to follow your annual review to check that your client’s goals haven’t changed, will help you to add alpha. To quantify how much, we looked at the performance and volatility of a portfolio of 60% equities, 40% bonds that was allowed to drift. Rebalance once a year …that’s my advice in a nutshell! If you want personalised advice, I’d be delighted to help. Request a portfolio review, I’ll have a look at everything - the costs you’re paying, the returns you’re getting, your asset allocations and risk rating. Then I’ll give you the benefit of my professional opinion, for free. If I think you could be doing better with a rebalancing of your assets, or a cut in the charges you’re paying for example, I’ll show you how. You can then do it yourself – or I can help you…after all, that’s what I’m here for. Get your free, no obligation review today.